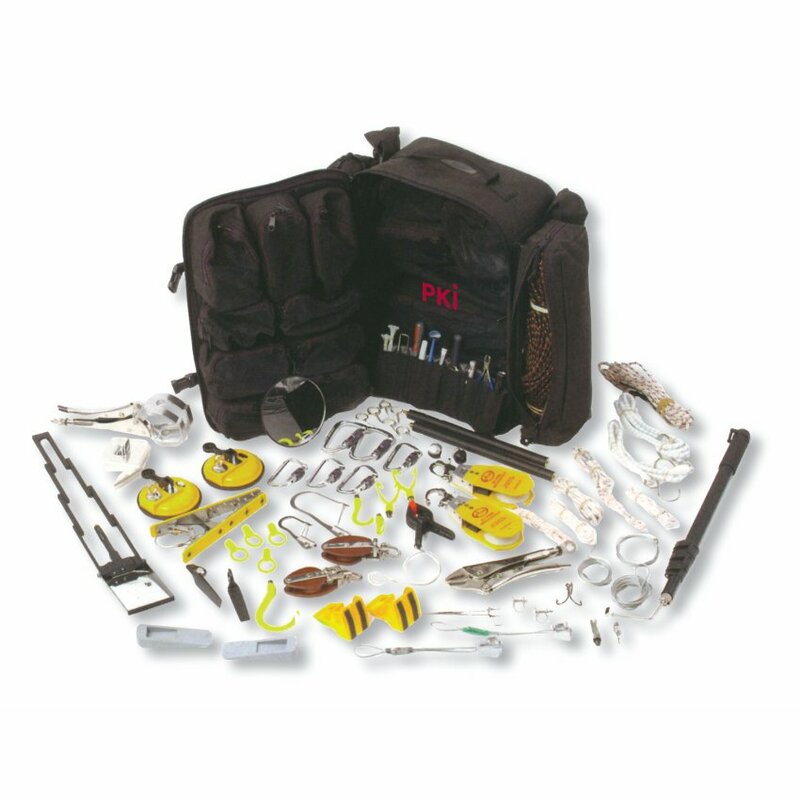 This lightweight EOD/IEDD rigging kit consists in specialist equipment suitable for both semi-remote and manual stages of an IEDD task. It permits rapid and straightforward deployment. Its ability to deploy the various components quickly in all operational settings is possible due to the use of a custom-designed backpack. This backpack provides dedicated stowage for the comprehensive rigging kit, as well as other essential EOD/IEDD items. The stowage pockets inside the main compartment can be re-configured easily by the user according to personal needs.